So what SEO benefits are there and how do you get them from cornerstone content? One of the biggest positives is that writing cornerstones can help you rank for popular keywords. These can be difficult to have a strong position for otherwise. Since cornerstone content topics will come up in other blog posts, it’s important to make sure you’re presenting your pages the right way for Google to understand which pieces are cornerstone content and which are supplementary. Think of your site content as a graph with the homepage at the top. All the less important articles appear near the bottom, filtered down from more important pieces. 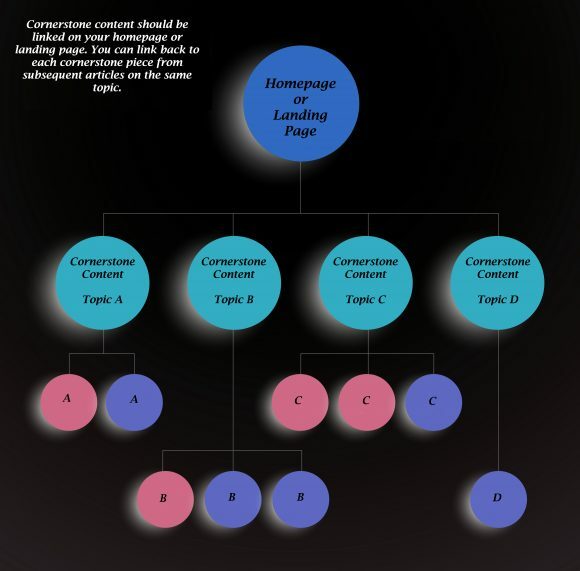 Your cornerstone content should be near the top of the graph, preferably linked on the homepage. As you discuss the cornerstone topics in other posts and places, link back to the cornerstone articles. It will make Google’s crawlers interpret them as more important than the other pages, ideally. For example, if you’re writing a post about marketing as a cornerstone piece, link back to it from articles like “Marketing to Students” or “Tips for a Great Marketing Strategy”. If you’re able to get high-value links from an external source, consider having it link back to one of your cornerstone articles. Since cornerstone content is ideally competing for the most competitive keywords, it’s important to give it some priority. High-value links from great sources can boost your SEO. Point them at your cornerstone pieces to help them rank for those more difficult keywords. Keep that in mind when you’re doing content outreach with other sites. Since cornerstone pieces are your strongest and most relevant content, they increase customer engagement. People who enter your page looking for answers should be able to find them easily and not have to search through your site. When a customer finds a site useful, they’re more likely to return and recommend the site to friends. Presenting the cornerstone content up front also offers the benefit of keeping someone on the page. According to the Nielsen Norman Group, people leave webpages in less than 30 seconds in large numbers, but more slowly after the first 30 seconds. If you can keep a viewer on your page for 30 seconds, you have a better chance to retain them. Since cornerstone content is interesting and relevant, it can hold customers past that crucial 30-second mark. Keeping someone on the page lets you get a chance to wow them with what you’re offering. An important skill is creating great cornerstones that stand as guides to newcomers. The strength of these cornerstones is what drives traffic to your site and sets you apart as an authority. So it’s important that everything you present is well-researched. Make sure that you’re providing clear information for a reader who isn’t as familiar as you are with the topic. Doing research in your niche before you start the process is essential. Knowing what’s out there gives you an idea of what ground there is to cover, what’s old news, and what will catch a viewer’s interest. It can also help you find good links to include in your content. If you already have a lot of content, select the strongest pieces that best represent and elucidate your area of expertise. If you don’t have content yet, write a list of questions that most people searching for the keywords you’re targeting would have. Start writing your first cornerstone piece to answer the one that seems most important or compelling. Figure out what keywords to use. To do this, ask yourself what search someone would perform to find your page. Once you know what keywords you’re targeting, focus on making your page respond to a search for that keyword as best you can. Focus your metadata with your keywords. Remember that your title and meta description may appear on your Google result. Make sure it’s eye-catching and references the content of the page. Consider the competition. If your competition doesn’t have strong cornerstone pages, it improves your chance of gaining return visitors through great content. On the other hand, strong content from competitors means you must set yourself apart. Consider setting up a tutorial or cornerstone pages that link together. It could help you stand out. 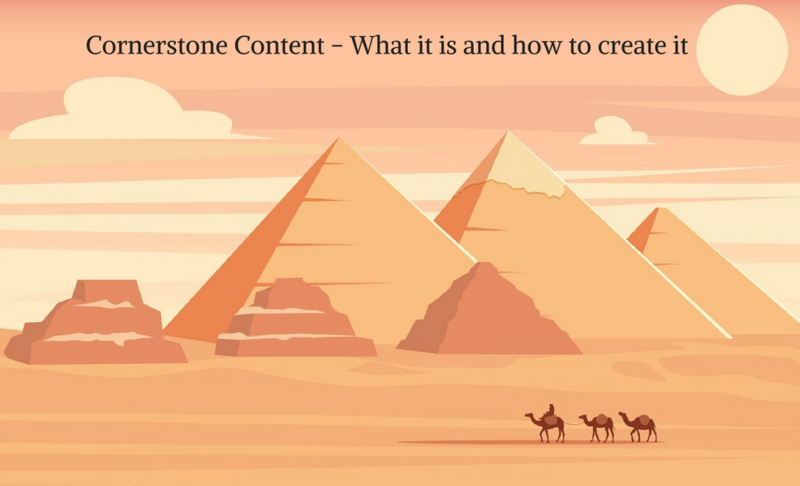 Draw your reader’s eye to your cornerstone content with an explanation of what you’re providing, an intriguing story, or some kind of offer. Getting attention can be difficult, so try to lead with something strong. Use bullet points and subheadings to break up your content and increase visual appeal. Include videos, images and other media to help illustrate your points and expand on them. Read over your content regularly and update it as needed. Google favors pages with content that’s updated over those where it isn’t. One way to create effective cornerstones is to think of them as a product. They’re entries to your brand or answers to questions, for example. Everything you do to attract customers to your page is marketing. In that same way, effective cornerstones are marketing too. But don’t write cornerstone pieces the way you would an advertisement. Instead, think of them as teaching tools. Consumers often block out marketing, but respond positively to educational pieces. Write your cornerstone pieces with the intention to teach the reader something. Since you’re providing positive and free resources, people will be drawn back to your site. If you do an exceptional job, you also improve your chances of social shares. 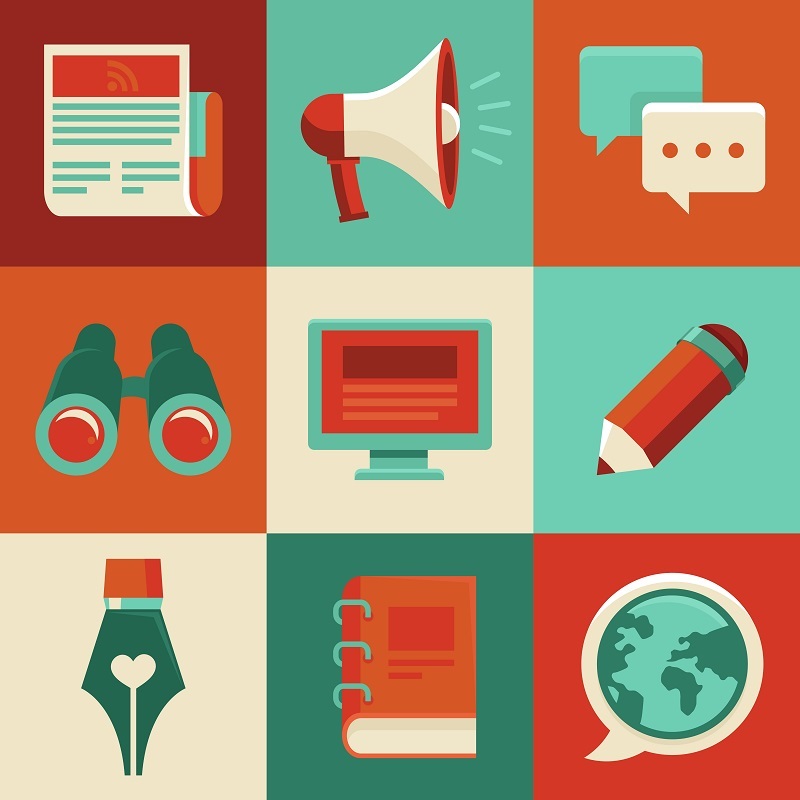 These strategies should help you create stronger content that resonates better with visitors. A landing page is one of the best ways to present your cornerstones to a new website viewer. It creates a roadmap that showcases your best content and helps people find it immediately. One way to do this is by linking it to your landing page. Make your cornerstone content visible and easily accessible. It shouldn’t be a struggle for a new visitor to find it and read it. If the cornerstone content links together, be sure to provide a way for a person to navigate from one piece to the next. Link back to cornerstone content in future articles or blogs. Since one of the reasons to have cornerstone content is to increase customer engagement, include an appropriate call to action on your pieces. This will help a person to know where to go to utilize your products or services. In the same way cornerstone content should be easy to find, so should the content you want to point people at. Cornerstone content provides viewers an entry point to your website and can help retain a first-time visitor. It showcases the knowledge that you have; it helps you gain the trust of a potential customer. Craft strong cornerstone pieces and present them properly for the best result. You don’t have to start from scratch, since you can fix up old posts or content and make them good enough to be cornerstones. Don’t be intimidated. Cornerstone pieces are an essential part of your website and will help you retain customers and improve your SEO. The time you spend creating great content will pay off in the end as cornerstone content draws new visitors to your site. Do you have any cornerstone content on your website or blog? Feel free to show us in the comments! Finally great post that explain better. Thank you so much for writing this excellent post. this will help me fixing my website content for seo. Thank you, Michael. I’m glad the post was helpful for you. Best of luck on optimizing your website! The wall I’m running into, however, is the presentation. On my blog’s home page, I have a sidebar listing my most popular posts. Should I simply replace that sidebar with one that lists cornerstone content? Thank you for your lovely comment, Dave! I really appreciate it. I think the popular posts can be useful, but they might not get a new visitor to where you want them to be. I’d probably go with whichever method you think is most helpful to new visitors. Good luck! According to you, how many articles can we keep cornerstone. I don’t think there’s a strict number. It likely depends on your niche, since some will have more subjects that are important, cornerstone topics. I’d say start with one and then add more as the topics present themselves. Thank you! Cornerstone content plays a significant role in any SEO strategy. It can be rather hard to rank for search terms that are very popular. A cornerstone approach could help you tackle those competitive search terms. If you write a lot of articles about similar blog posts, you need to tell Google which one is the most important. I agree, Ryan! Thank you. 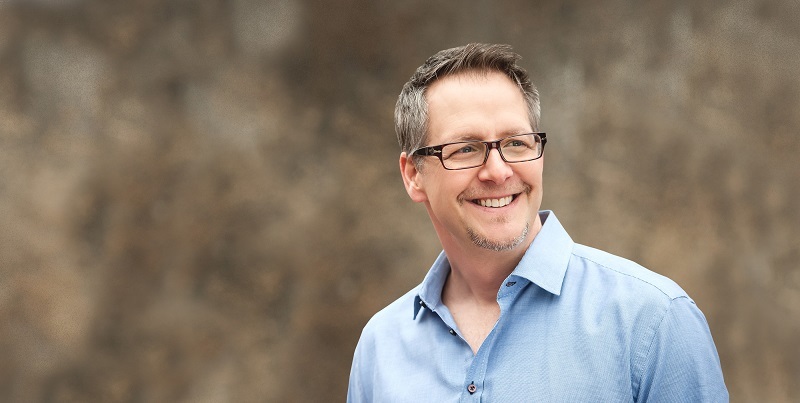 I agree that content must bring value and engages the client. The more you engage the client. The higher you rank on Google! Thank You for the article! Thank you, Jesse! I definitely think good client engagement is essential. Excellent post, great logic, and thank you. It explains something I knew was missing from my site but wasn’t sure what it was. A perfect place to start for any business, and something for us all to reflect on from time to time. Thanks for this great piece of cornerstone content! Excellent post! I have nothing to add. Which is rare LOL. But true, because I need to create a piece or 2 of cornerstone content on Blogging From Paradise. It sure helps to have a resource or 2 on your site to appease new readers, or readers entirely new to your blogging niche. Thanks for your kind words. I think cornerstone content is pretty important–always good to give people an entry point. 🙂 I loved logging on to your site and seeing a list of the place you’ve worked from. What an amazing experience!